Here is a map demonstrates territory of Bosnia and Herzegovina, of Croatia. interesting map of Grude calibrated this. free map of Imotski calibrated for Garmin. map of Dreznica и OziExplorer calibration displayed. 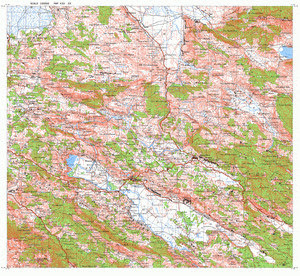 topographic map of Drinovci with gps calibration presented. free map of Kocerin 1 cm to 1 km presented. map of Zmijavci и OziExplorer calibration download for free. free map of Runovic for Garmin. actual map of Grubine 1 cm to 1 km this. actual map of Zagvozd и OziExplorer calibration free download. detailed map of Lovrec и OziExplorer calibration this. free map of Strazica download for free. topographic map of Zaljuce 1 cm to 1 km displayed. map of Vojkovici for Garmin. topographic map of Udovicici here. topographic map of Sutina displayed. interesting map of Studenci calibrated for gps. map of Seonica calibrated displayed.